A few red faces, I imagine, among the players of French amateur club Chamalieres, winners of the Auvergne regional title with victory over Cisternes in the final at the weekend. 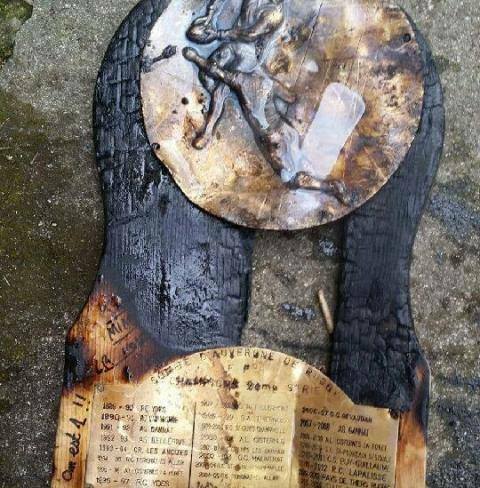 Unfortunately Chamalieres' victory is where the good news ends, judging by this picture of the wooden championship trophy which, it transpires, ended being barbecued during the post-match festivities. No doubt it was one of those seemingly hilarious-at-the-time moments that…erm…well...turned out not to be very funny at all.